Home > Child Trust Fund > CTF Abolition: What Does it Mean for Me? 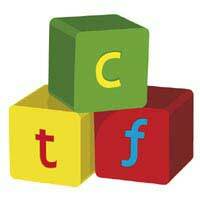 The Child Trust Fund (CTF) has been controversial since its inception. Faced with initial political opposition, it has since grown into a very popular saving method. But the CTF looks set to become one of the highest-profile casualties of the new age of austerity. The Fund has been sacrificed by the new government in an effort to plug the deficit. What is happening to the Child Trust Fund? In his first Budget as Chancellor, George Osborne announced that he intends to scrap the Child Trust Fund. As the rules currently stand, the government gives every child a £250 voucher to kick-start their account. Children from lower-income families also receive an additional £250 top-up. In his announcement the Chancellor said that these payments will gradually be phased out. The vouchers will be reduced to £50 during 2010, and will stop altogether in January 2011. The government also intends to introduce legislation that will abolish the trust system itself, as well as the payments. This will have to go before Parliament, where it may face stiff opposition. Until such legislation is passed, the Child Trust Fund continues to exist in the same state. You could open a CTF today and enjoy the same treatment as those who opened an account the day before the Budget announcement. But this situation will not last. Government payments will be phased out over the course of the next year – so if you are expecting a child in 2011, you can be fairly certain that you will receive less favourable treatment than existing customers. Indeed, by 2011 the CTF may no longer exist at all. What about my child’s existing CTF? Existing Child Trust Fund customers will be unaffected by the changes to the law. You can continue to contribute to your child’s CTF, and it will reach maturity when they turn 18 in exactly the same way as you have been previously told. Again, this money will not attract tax on income or gains. The moves really only affect those who are expecting children, or who are considering setting up a CTF for their child. Understandably, some parents are now considering possible alternatives to the Child Trust Fund. Many parents wish to put money away for their child in a tax efficient way and, thankfully, there are several options for this. The most obvious alternative is to set up an ISA, and simply set the cash aside for your child. You can save up to £10,200 in a Stocks and Shares ISA and, as announced in the same Budget that saw the CTF abolished, this limit will rise with inflation from next year. You may also wish to consider National Savings & Investments (NS&I). Their Children’s Bonus Bond allows you to save for your child, and all contributions are tax free. A bonus is paid by NS&I on bonds that are held for at least five years. The abolition of the Child Trust Fund has caused panic amongst some parents concerned about the future of their children’s money. Existing CTF customers need not worry; their money will be treated exactly as promised. But expectant parents, and those planning for the future, should begin to consider other ways to save.